And here we go again, good news for all of you Android operating system buffs. 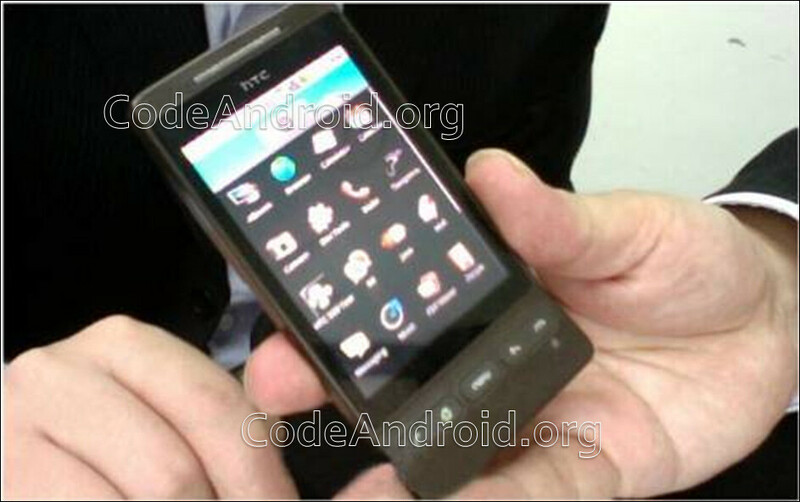 While Samsung has officially unveiled the I7500, HTC is still keeping some secrets from us. 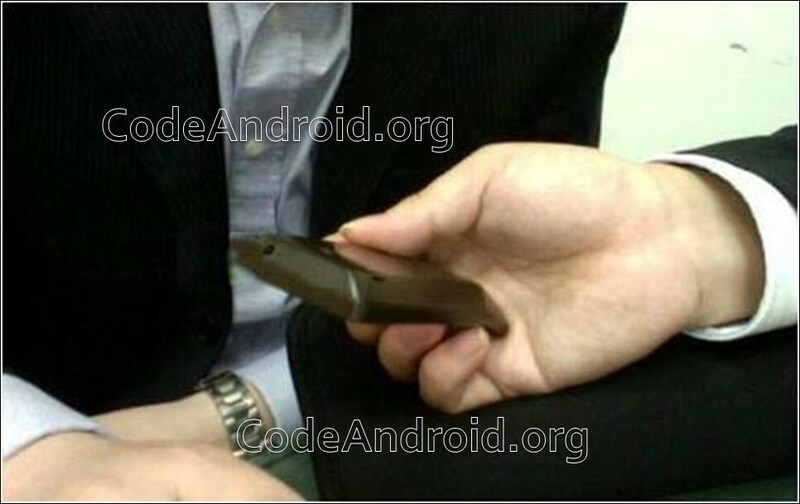 This doesn´t seem to have been much of an obstacle for the anonymous reader of CodeAndroid, who submitted spy shots of what looks like the HTC Hero – an Android smartphone, scheduled for release in Q3 this year. As you can see for yourself, the Hero would not attract fashion gurus and it is quite similar to the G1, as we expected. There is no additional information along with the photos, we see there’s a 3.5mm audio jack on the top, and the trackball is missing. Take a good look and share your thoughts with us. Hold on! 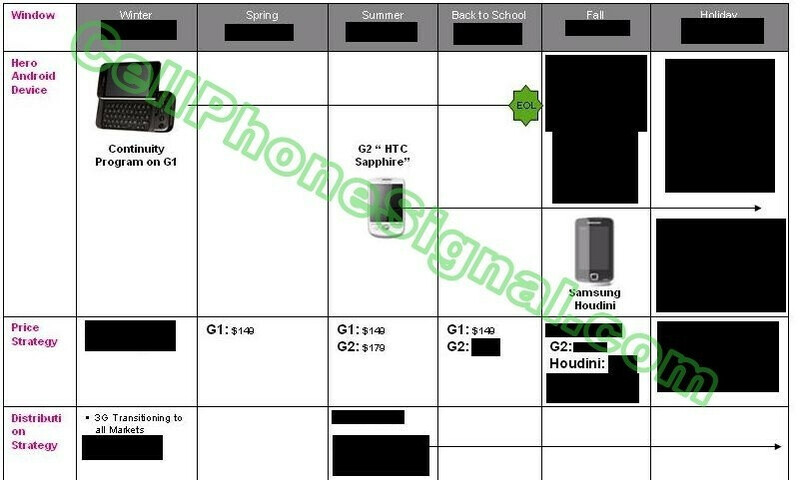 There is more coming - an image of what is said to be T-Mobile USA’s Android roadmap has leaked, revealing the pricing strategy for three handsets. The first one is the far-famed G1, which is already all too known. It seems T-Mobile will be offering the Magic/G2 as soon as this summer, but what grips our attention is the third phone, the Samsung Houdini, which is scheduled for release sometime this fall. Its price, however, is a black filled area, so we cannot tell how much you will be able to get this one for. 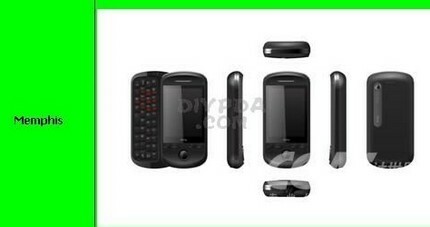 In addition, there is a number of other black filled spots, obviously covering up information on other Android-powered devices. What do you think? 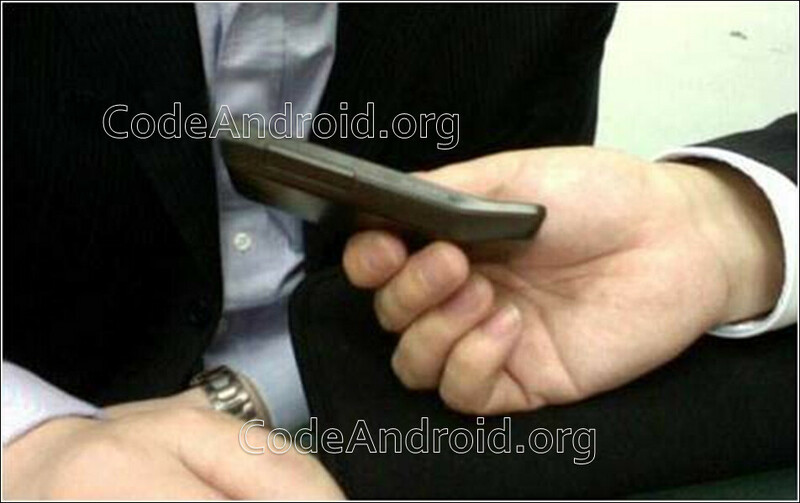 What would these secret handsets look like? Im going out on a limb here, but im guessing theres going to be a price drop on the G1 come this fall, based on its end of life, and the price where it would be (the top of the pricing list) is blacked out. Then again, We are talking about T-mobile here. That part isn't really a guess. The price drop is on the sheet. Its not blacked out. No offense, but I think Android is garbage. HTC shouldn't even bother with Android. They should stick with WM, where they are actually good at making phones and software. crd22 you are nuts. Android is much better that WM, as are most versions of Linux/Unix better than Windows. It's only a matter of time and you will be forced to live in a Linux/Unix World my friend. Embrace the light fool.